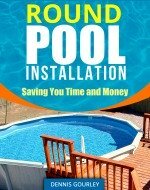 How many parts are supposed to be with a 24 foot round above ground pool? We received a used one from a friend and would like to find out if all the parts are here. Hi. That's a pretty good question with a fairly easy answer. For the most part you will need the same number of each part. A 24' will usually have either 17 or 18 of each part. You just need to separate your pieces and start counting. You should have 17 top rails, 17 bottom rails, 17 bottom connectors, 17 decorative caps, 17 posts and 17 post caps. The coping and retaining rods may be different. Coping is easy to buy more of if need be, and in many cases it's best to replace all of it from where ever you are getting your new liner from. The retaining rods may be one per pool section, in which case you need 17. They may also be interlocking and I would not know the count of those without seeing a parts list for your pool. If you happen to be missing one, just interlock them a shorter distance. Doing this at every connection can easily make up for a missing rod. The examples above used the number 17. It could just as well be 18, or maybe something else. If you have 18 top rails, 18 bottom rails, 18 footplates and only 17 uprights, my guess is you are missing an upright. Another easy way to tell if you have all the parts is to lay it all out on the ground. Build the bottom ring, with all the connectors and them measure it. It should be about 12' apart. Then lay an upright behind each bottom connector and a top rail behind each bottom rail. Do this until you have a location for all of your parts. This is a good way to get a feel for what you have and how it all goes together and it also lets you examine the parts to see if you need to paint, or possibly replace, any of them.